You all certainly know NOTTE STELLATA, the beautiful song on music by Saint-Saens, and that is part of the CD, BUON NATALE. My dear friend, Maura Pucci, wrote her impressions on her first listening, I translate them for you, they are very beautiful. I want to share with you the emotion I felt when I first heard NOTTE STELLATA (Starry Night). I immediately rushed to pour my feelings, my impressions, onto a piece of paper. I saved that sheet. I realize now, rereading it, that it is not a great example of good Italian style. It was my “outburst” and was not intended for the reading of others. I cover it as such, imperfect but genuine! I look for IL VOLO on you tube and I come across a video screen with the same title: Notte Stellata. I do not know this song and I never heard of it. I try with the first video and, from the first notes, I immediately recognize the famous motif of Saint-Saëns. Evidently, I think, someone composed a text for this wonderful melody. I do not see the guys that are singing but only moving images. Although disappointed, I still listen, already fascinated by the first notes of the orchestra. I listened to the song for the first time, then a second one wearing the headphones to catch every detail of the music and the voices of the boys. The musical arrangement, where strings and piano are the masters, is of an incredible sweetness. It is a song of great lyricism, evoking dream landscapes (night, lake, stars, moon) whose text the “experts” of Sanremo would not hesitate to define trivial. It is narrated, the story of a love in progress: at the beginning love is hidden and therefore it is ignored. Then, love is declared …. This phase is without words, but it is understood from the context, because, in the end, there is the awareness of mutual love. The words of the text are not thrown at random. The author wanted to highlight the “before” and the “after”, with a studied exchange of contrasting terms: you do not know / now you know it; you in my thoughts / I in your thoughts. The boys offer a masterly interpretation. 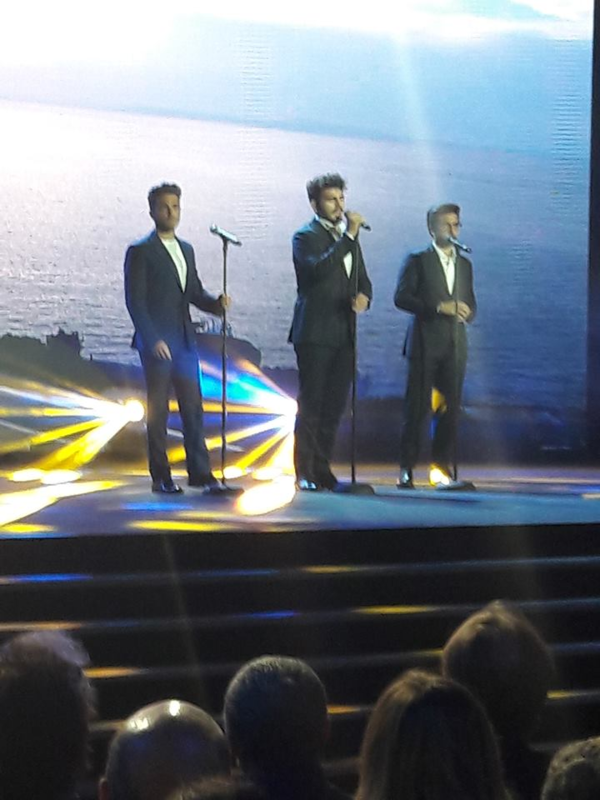 Gianluca opens: “ Guarda che lago, che luna c’è, le stelle in cielo brillano per …………” and then, in a breath “…. noi!”. Well, here I stopped breathing, I felt a dip in my heart and I exclaimed aloud, even being alone: “Mamma mia!”. I wondered: that fabulous “noi”, is it really Gianluca? How could he pull out of his register, deep, virile, that line of voice soft and thin as a sigh? Piero enters. Starting from low notes, unusual for him, but faced with skill, his voice unfolds upward, word by word, or rather syllable after syllable: “la mia serenata canterò per …” until it culminates in a clear, acute “te!”, powerful but sweet at the same time, so as not to disturb the idyllic tone of the songs.The voice of Piero arrives in fact gradually and with the utmost naturalness. Then their voices come together. 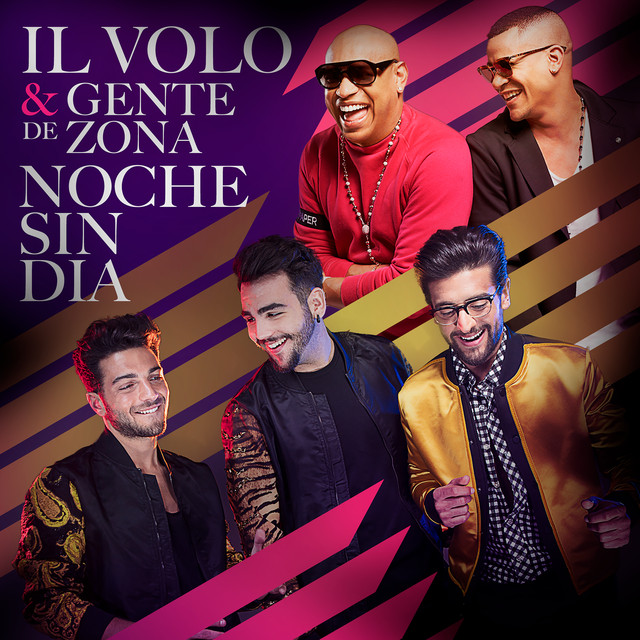 First low, then in a “crescendo” shivering, alternating with Gianluca (which in the last stanza, fades to the utmost tone, still “sighing” the words of the happy ending “io ti amo sai, …. tu mi ami ..) and all together “già”, so quiet as to seem a single voice. And the orchestra follows them ending “very slowly”, musically speaking, the arrangement and the orchestra that accompanies, without ever overwhelming them, their voices In particular I have in mind the violin that follows “ti cercherò tra la gente” of Piero, and the ringing notes of the piano that accompany Ignazio’s second stanza. I realize that almost all their other songs can be of greater impact on the general public. They are the ones that end up with the guys who sing together to their full potential, with the orchestra at full capacity, those with an overwhelming finale. NOTTE STELLATA is of another kind, an intimate, atmospheric song! I do not get tired of listening to it. I have nothing to add, Maura has well described her feelings with even technical details. I would very much like to read Myron’s opinion on this long comment, and of course also all your thoughts. Credit to owners of photo and videos. Cynthia, I knew that the sweet and deep words of Maura would have touched you. Daniela, I am not as analytical like Maura, I just know what I like. I, as you know, love whatever these talented young men do. But, it is fascinating to read what someone like Maura can hear in their performance of a song. I listened to them singing the song and read Maura’s comments at the same time, she has truly heard all of the nuances I missed so many times. I have a new appreciation for their interpretation of Notte Stellata. My thanks to Maura for teaching me to listen to the details. It was the same for me RoseMarie. It would not have occurred to me to immediately write my feelings to listen to the song and then also to keep them, but what Maura wrote, so beautiful and profound, made me listen again more carefully to the song and I enjoyed it every nuance. Thank you Maura !! I was so surprised and grateful to read your beautiful thoughts about this heavenly song because It was only yesterday that I was listening to it in my car and I was going to post it in one of the groups today !! Our precious guys were only sixteen and seventeen when they sang Notte Stellata at the Detroit Opera house !! They sang it like three angels with perfect voice control, harmony and emotion and I get teary eyed every time I listen to it. I love the three of them to pieces and I will be now and forever in awe of the magnificent music that comes out of these three charming young men !! I love this song, I can listen to it over and over again. I loved watching this figure skating interpretation and was glued to the tv screen when I heard those voices….Yuzuru Hanyu https://youtu.be/1gRoIy0YWQo. Maura captured what so many of us feel when we listen to the song. What insight and feeling goes into this song. It’s always moving. No one has done it better. Allene is always a pleasure to share with you that you love these guys! They were destined to be together, in this life, to make these beautiful sounds that hold them together-hopefully always. This is a lovely thought. I truly believe God put Piero, Ignazio and Gianluca together at the same place and the same time. And what a beautiful gift to all of us!. It is a lovely song and seeing the translation makes it even more so! Maura, your words are simply beautiful. And thank you Victoria for posting the ice skating interpretation. Jane, Trish and I loved the figure skating interpretation. We both were delighted to hear those boys voices in the middle of the Olympics. It is so beautifully skated and we’d have probably passed if it weren’t for hearing the boy’s voices singing that gorgeous song. We all have our favorites and this amazing song is at the top of the list. Maura captured what so many of us felt and her description of the boy’s interpretation was deeply heartfelt. Hugs. Thanks Victoria for posting the skater’s video link, actually it was the second video of this post, but I saw that we can not see it. I have translated all your beautiful comments to Maura. She was very happy and wrote this answer for all of you, begging me to translate it for you and not to change “not even a comma” of what she had written. I have before my eyes the Italian translation of your comments to my “interpretation” of “Starry Night”, thanks to Daniela, my great friend. Without her I could do very little, both for age, both because I do not like technology and, not least, because I do not know English. All that I am doing is a great effort of will that I accepted, even wanted, just for the sake of our dear boys, otherwise, I would not have been able to follow them with the same diligence. Now that I understand your words, I can say that you have been all too good and kind to me. I love beautiful music, I love beautiful voices. In my youth I studied the piano and even sang (for friends, of course!). What you read was an outpouring of my soul, overwhelmed by emotion, and as in the past, the girls poured their feelings into a secret diary, I did it with my emotions listening to the song. Since 2015 my manuscript sheets have been closed in a drawer, almost for modesty … Then I could not imagine that one day, of my little secret I would have shared so many unknown friends and would have even crossed the ocean! Your appreciation made me happy, thanks dear friends, I hold you in a virtual embrace and I wish you a happy Christmas and ….. prosperous ano y felicidad!